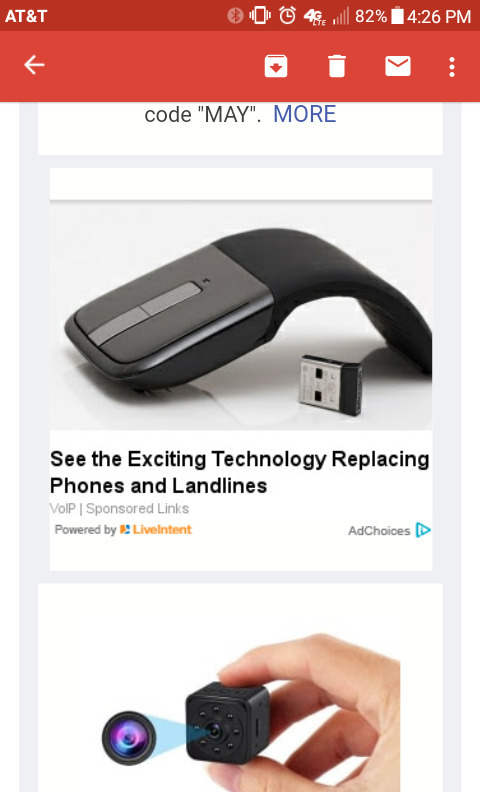 It says, "See the Exciting New Technology Replacing Phones and Landlines", accompanied by a picture of a slim wireless mouse. I have to say, the new uses they have for wirelss mice is amazing! I just had a highly displeasing experience on CNET. I was reading about the Tesla roadster and some stupid garbage ad started playing. It offered an X, so I closed the ad. And then I got audio.